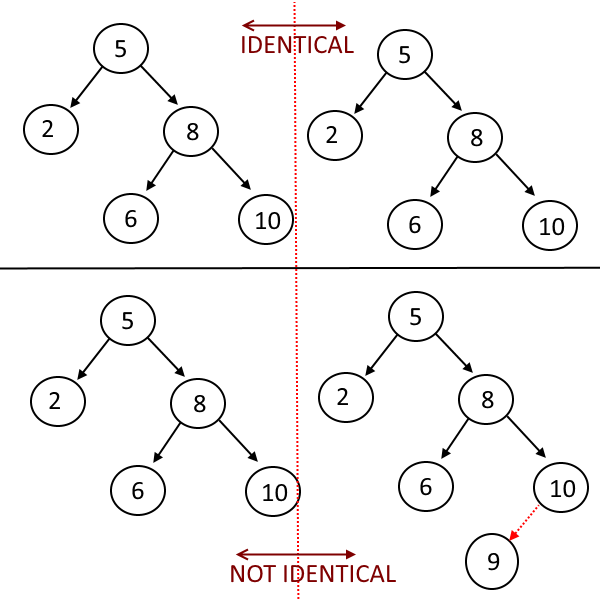 Objective: Given Two binary Search Trees, Check if both are identical. Travesre both trees at the same time, starting from root. Check if roots are not null and data are matched, if not, return false. Make recursice calls to root.left and root.right. If any of the tree gets over and other is not , return false. Previous story Print Paths from root to all leaf nodes in a binary tree. 227 queries in 0.099 seconds.